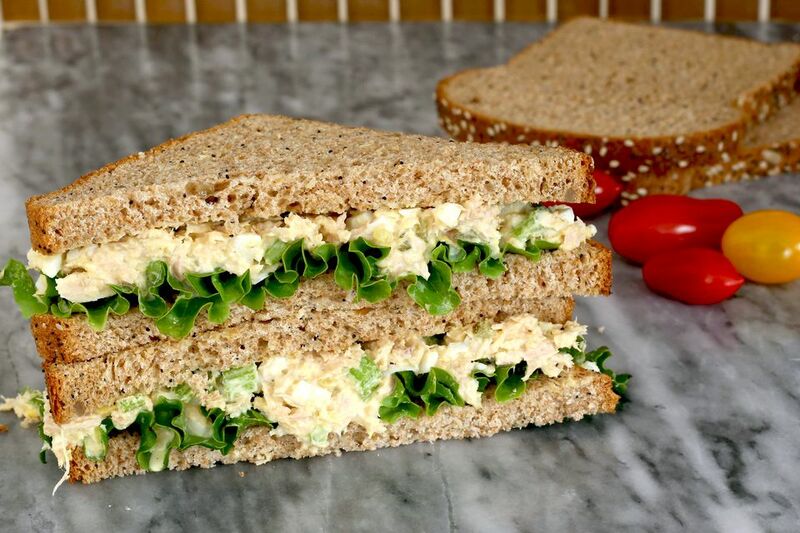 This is a recipe for a delicious basic tuna salad for sandwiches or a lunch salad, and it's super easy to prepare. Serve this tuna salad in split rolls, toasted bread, or buns, or serve it on romaine lettuce leaves for a fabulous lunch with chips or a cup of soup. Combine tuna, chopped eggs, onion, if using, celery, relish, mayonnaise, salt, and pepper; mix well. Serve as a sandwich filling or luncheon salad with pickle slices, lettuce leaves, and sliced tomatoes, if desired.